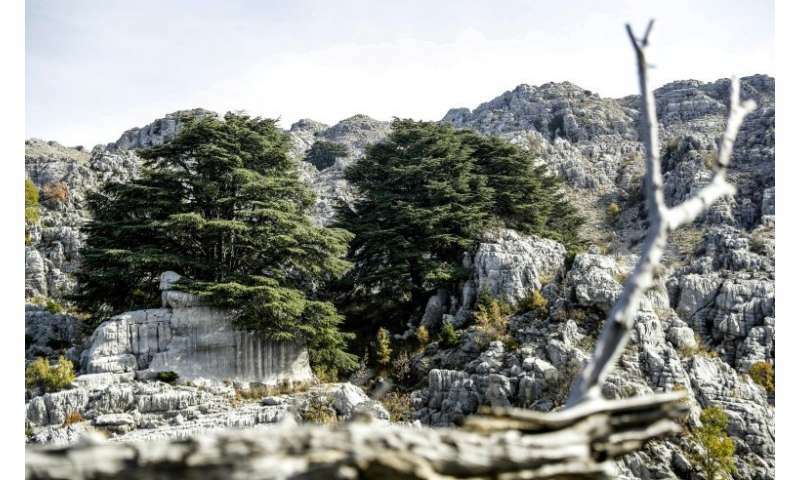 High up in Lebanon's mountains, the lifeless grey trunks of dead cedar trees stand stark in the deep green forest, witnesses of the climate change that has ravaged them. Often dubbed "Cedars of God", the tall evergreens hark back millenia and are a source of great pride and a national icon in the small Mediterranean country. The cedar tree, with its majestic horizontal branches, graces the nation's flag and its bank notes. But as temperatures rise, and rain and snowfall decrease, Lebanon's graceful cedars are increasingly under attack by a tiny green grub that feed off the youngest trees. At 1,800 metres altitude, in the natural reserve of Tannourine in the north of Lebanon, ashen tree skeletons jut out of the forest near surviving cedars centuries old. "It's as if a fire had swept through the forest," says Nabil Nemer, a Lebanese specialist in forest insects. In ancient times, huge cedar forests were felled for their timber. Egyptian pharaohs used the wood to make boats, and King Solomon is said to have used cedar to build his temple in Jerusalem. But today's culprits lie underground, just several centimetres (inches) below the tree trunk: bright green, wriggling larvae no larger than a grain of rice. Since the late 1990s, infant cedar sawflies have been eating away at the forest in Tannourine, as well as several other natural reserves in northern Lebanon. "In 2017, 170 trees dried up completely and became dead wood," Nemer says. Like their food of choice, cedar sawflies have been around for thousands of years. They mate in spring and lay their eggs on the cedar tree trunks, where grubs hatch and feast on cedar needles. In the past, the larvae would then head back into the ground to hibernate for up to three or four years, before emerging again as adult sawflies with wings. But a warming earth has disrupted this cycle, especially in the Mediterranean where "climate change is more intense", according to Wolfgang Cramer, a scientist and member of Mediterranean Experts on Environmental and Climate Change (MedECC). In a November report, MedECC said future warming in the Mediterranean region was "expected to exceed global rates by 25 percent". As the ground becomes less cold and humid in winter, sawflies are now springing out of the earth every year, and in larger numbers. Their preferred victims are young cedar trees, aged 20 to 100 years old. Temperatures in Tannourine have risen by two degrees Celsius in the past 30 years and there is less snow than before, Nemer says. "With the drought, this larvae has been disturbed," he explains. In 1999, the authorities managed to keep the pest in check by spraying insecticides from a helicopter. But for the past four years, the cedar sawfly population has again been swelling. With chemical pesticides now banned, park authorities have resorted to a more natural, though less efficient treatment: injecting a fungus into the ground to kill the sleeping grubs. The authorities have backed the initiative so far, but it's a mammoth task that needs more funding, man power and laboratories, Nemer says. He says he hopes the state can increase its support, including by creating a nationwide authority to track "forest health". Forests cover just over a tenth of Lebanon. They are mostly made up of oaks, pines and juniper trees, but also a minority of cedars. As scientists fight to prevent cedar deaths, the government has embarked in a race against time to replenish the country's forests. Since 2012, it has helped plant more than two million new trees of all kinds across the country, agriculture ministry official Chadi Mohanna says. The project is running a little late on a target of 40 million planted trees by 2030, but he is optimistic it will help mitigate climate change. "In the next 20 to 30 years, we'll start to see a change, with more humidity, and several degrees less during heat waves," he says. And civil society is also playing a role. 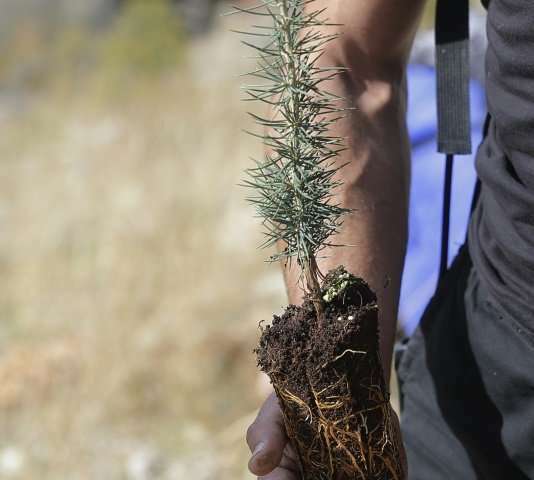 Since 2008, non-governmental organisation Jouzour Lubnan has put 300,000 new trees in the ground. 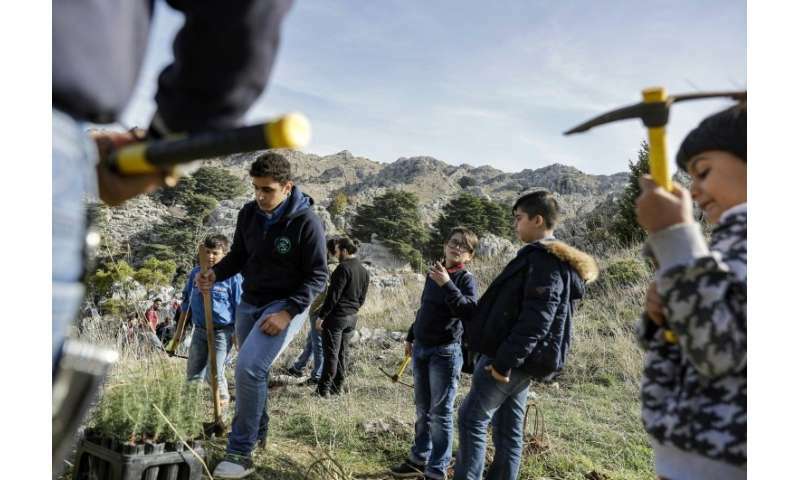 On a recent sunny Sunday, in the rocky natural reserve of Jaj, dozens of scouts gathered to plant cedars, as Jouzour teamed up with the army to mark independence day. 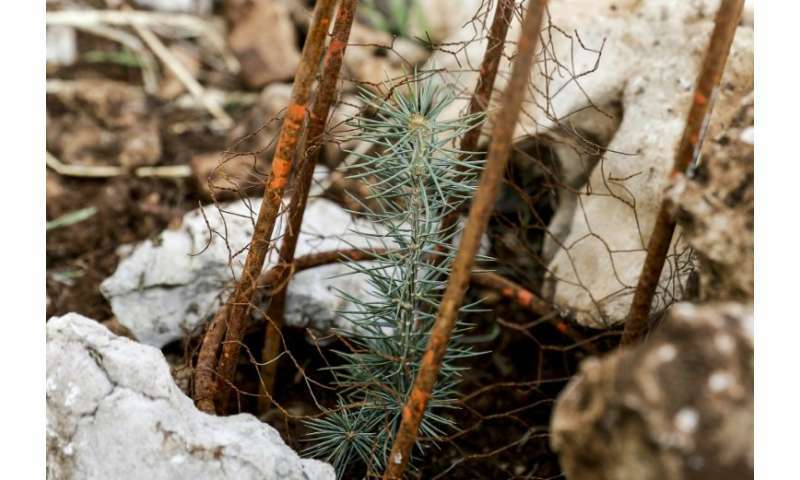 Beyond centuries-old trees hugging the mountainside, boys and girls in blue shirts planted 300 saplings just a dozen centimetres high. They protected them with bell-shaped cages and rocks to keep grazing animals at bay. "Cedars have survived millions of years. They can also take on climate change and adapt," said Jouzour co-founder Magda Bou Dagher Kharrat. "We can't lose hope, but we do need to help them."